The P.A.T.H. (Paul Ambrose Trail for Health), a 26-mile bike and pedestrian pathway that is being constructed, providing free health and recreation for Huntington and surrounding areas. In addition, an annual 5k, 10k and walk (dubbed “Fit Fest”) is held to raise money to continue construction on the trail. Jamie Oliver came to our town to film his Health Revolution reality show, building us a state-of-the-art kitchen downtown which provides free healthy cooking classes for people of all ages. In general, I see more and more people out walking, running and biking on a daily basis in town. 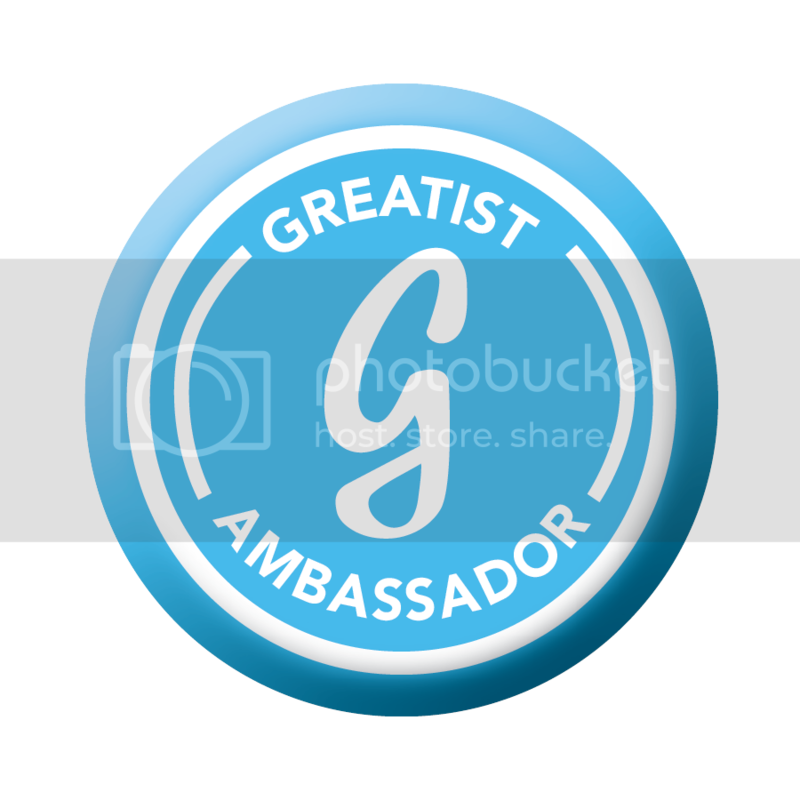 There is much more, but those are our largest accomplishments. 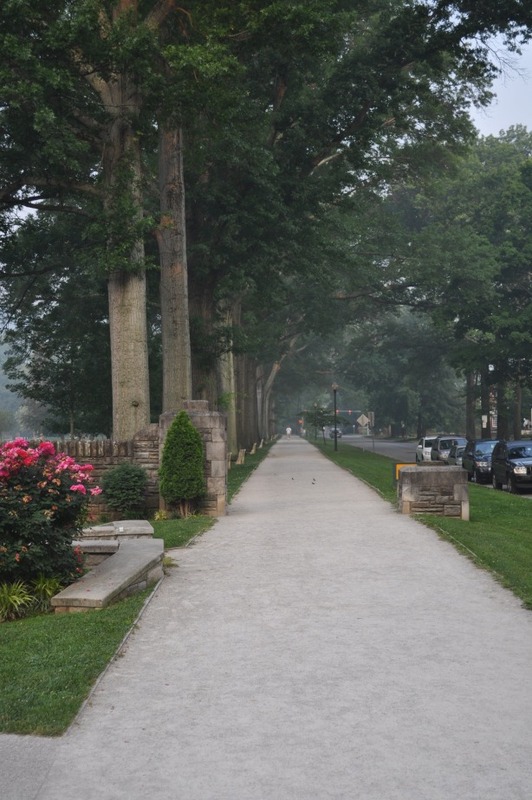 Photo credit: This amazing blog post about Ritter Park. 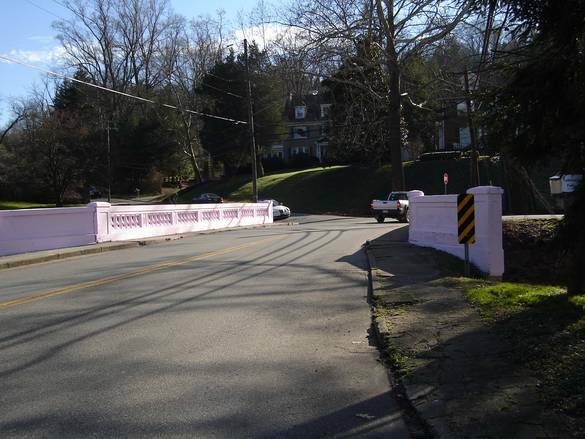 This bridge was painted pink a few years ago for Breast Cancer Awareness and caused quite the uproar. It has since been repainted. A good photo of the path that you follow around to get under the bridge, again from the awesome blog post. I actually took these photos! 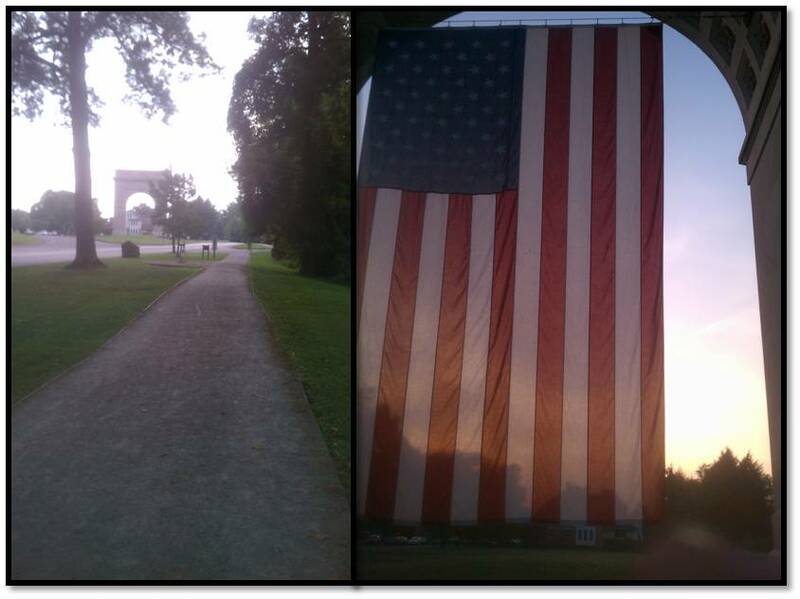 On certain holidays, the GHPRD (Greater Huntington Park and Recreation District) hangs a giant flag on the arch. If I run from my front door to the arch and back, I have run exactly three miles. If I continue on the trail through Memorial Park (where my favorite water fountain is located) and back, I’ll have gone about 5 miles. 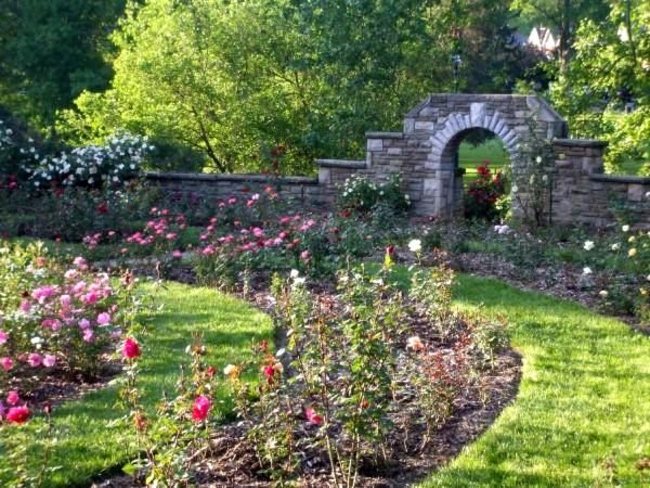 The Ritter Park Rose Garden! The roses are in bloom Spring – Fall, and it’s seriously breathtaking. You can have your wedding there, and it’s quite cheap, but it doesn’t seat very many people, so it wasn’t an option for us. Perhaps some kind bridesmaid will read this and throw me a bridal shower there. If you don’t climb the stairs to the Rose Garden, but continue on to the East End of the park again, you can make a right and you will see the tennis courts. There are 4 courts, I think, and they cover two of them for the winter. I don’t play tennis, so I’m not going to spend much time on those. However, after the tennis courts, there is a huge hill which is great for hill sprint repeats! If you climb the giant hill, at the top on the left is the brand new Huntington Pet Safe Dog Park. Huntington won a contest that was sponsored by Pet Safe which funded $100,000 towards our dog park, and it turned out great. It’s basically a large fenced in area where the dogs can run. There is a doggie drinking fountain, a small dog run, and that’s basically it, but man do the doggies love it. 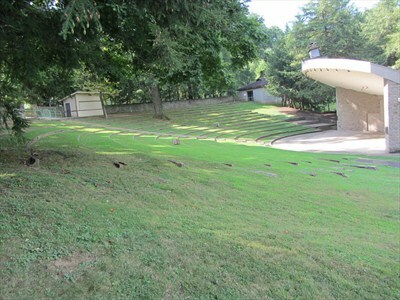 Where outdoor concerts and outdoor theater are held. And that’s about it! Ritter Park is about the best thing ever, in my opinion. I consider myself very lucky to live one block from such an awesome park where I can run, walk, and interact with other healthy residents of my town. 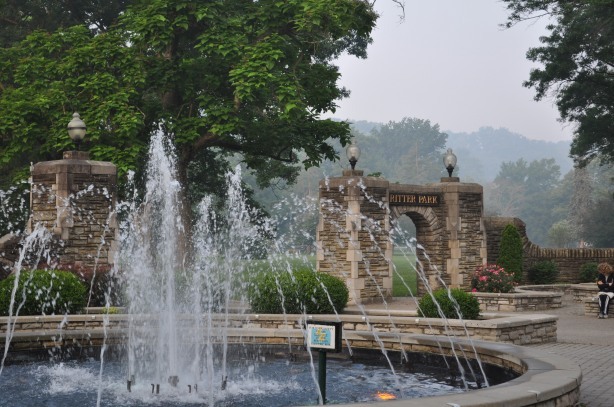 Recently, Ritter Park was named one of America’s Great Public Spaces by the American Planning Association, along with parks located in Denver, Chicago and Anaheim. I don’t know if the residents of those cities are as pumped about the honor as the residents of Huntington were, but I’m guessing not. It’s great for our small town to be ranked up there with big cities. 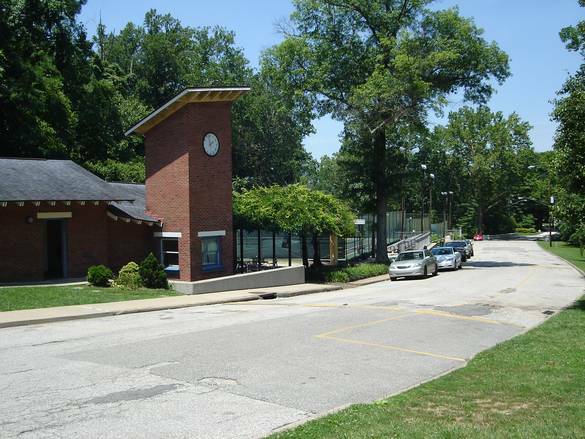 I truly think that Ritter Park deserves the honor. I run in that park most days of the year, and I never get sick of it. What’s your favorite place to run? Good post, Kristy. I’m glad to see Ritter getting national recognition. As for favorite places to run, being a St. Albans native most of my running takes place around my hometown, but with my job, I get to spend a lot of time in the Canaan Valley/Blackwater Falls area. I love running the roads at Blackwater. I was there last week and some runners were encouraging me to start running trails. I may try that next time I’m there. I love the park also, but my favorite place to run is downtown. I love running downtown in any city, but especially Huntington. I started this on a trip to Atlanta, and it was a great way to get out of the hotel for short breaks during day long meetings to actually see the city. Now I try to run when I’m out of town to take in the surroundings. Running in Huntington is awesome because I feel more of a connection to the city, and end up seeing things I would otherwise miss. There are some great buildings with wonderful architectural detail that I’d never see riding in a car. Actually, my favorite favorite thing to do is to run from my house, through downtown, through the West End, and then through the entirety of the park, so I get a little of everything Huntington has to offer! My favourite place to run is my treadmill, lol. I don’t mind running outside but honestly, I tend to get lazy quickly when I’m outside! See, I’m the opposite! I can only do speedwork on the treadmill or I get SO bored. Even so, I have to watch Netflix or it’s all over.